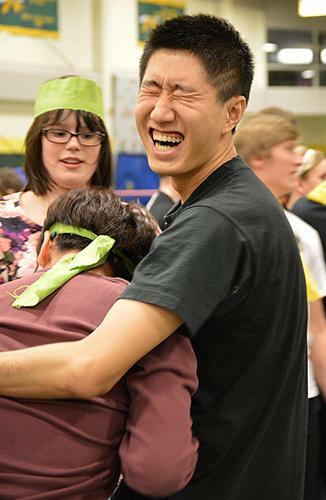 Peter Xing Ao of Pangburn hall works to thaw a frozen t-shirt during the All-Hall Battle in the Young Center. Black Hills State University students competed in the first All-Hall Battle Feb. 24 at the Young Center. Winona Cook hall took the trophy. They won seven of the 11 events, including both men’s and women’s tug-of-war competition, a frozen t-shirt relay, a half-gallon milk chug, birdy-on-a-perch, awkward orange, and the powderpuff football game that ended the evening. Winona Cook hall President Sarah Maka organized the event as the residence hall’s contribution to the Resident Hall Association’s (RHA) student, staff, and faculty program. Each hall is required to organize an event for the program. The purpose of the event was to promote community within the halls and create a new tradition, according to Maka. “We know that — putting on big programs like this is how traditions are started. Going into this, we onlyhoped people would like it enough for it to be an every year thing. 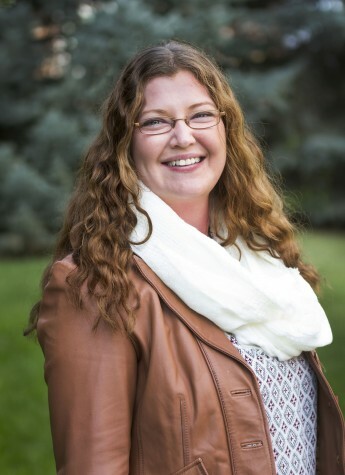 We had a great turn out with about 100 people, we could not have done it without the staff at the Young Center, (the) RHA committee, helpful RAs, and of course all the great residents that showed up,” said Maka. Other games included a three-legged race, a hot dog eating contest, and a whipped cream and bubblegum game, won by Heidepriem hall, a limbo contest, won by Humbert hall, and an egg toss, won by Pangburn hall. 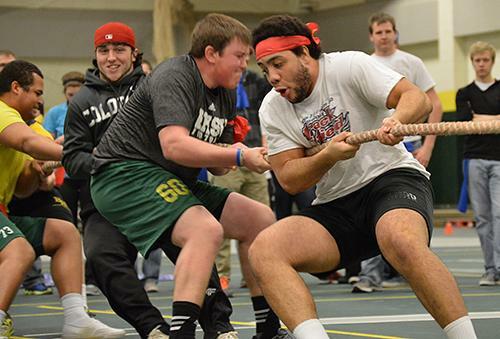 The Winona Cook hall men’s tug-of-war team struggles against the opposing team at the All-Hall Battle in the Young Center .